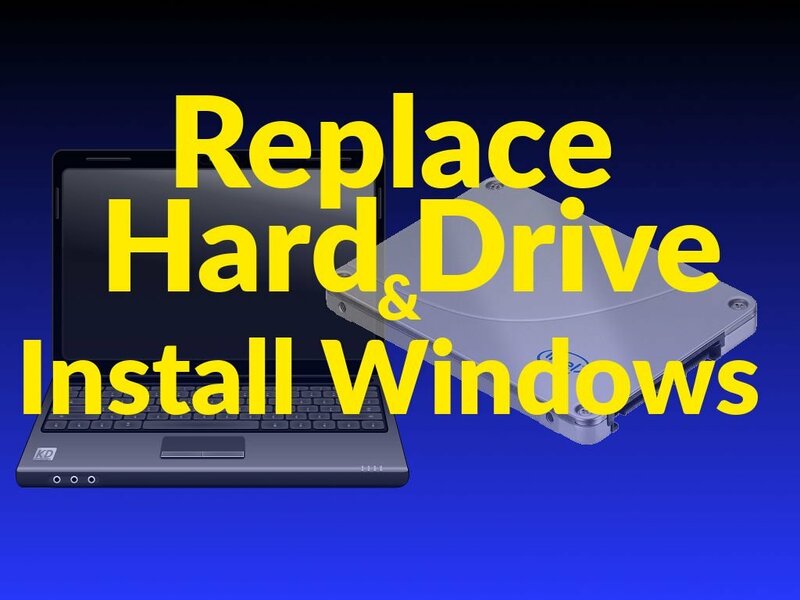 This tutorial walks you through how to Replace Laptop Hard Drive & Install Windows. Then we show yo how to quickly install all the best free Windows apps with just a few clicks, saving you time on your Windows install. Keep reading to see how. Or if you’d rather watch the short 2-Part video tutorial, here is Replace Laptop Hard Drive & Install Windows Part 1, Part 2, and a bonus Part 3. Use a Philips screwdriver to remove the hard drive plate from the back of your laptop. Put the new hard drive in place of the old hard drive, making sure to connect the connector at the end of the new hard drive to the connector of the laptop. This is known as a SATA connector. At Step 3, select your USB thumb drive from the drop down list. Wait for the process to finish completely. When it says “Process complete”, safely remove the USB thumb drive from the working PC. If your laptop then displays a menu on the screen, hit Enter to begin the Windows Installer. Follow the on-screen prompts to complete the Windows installation. If the installer asks whether you’d like to do an Upgrade or a Custom install, choose Custom install. Then select the one and only hard drive partition from the on-screen list. Then click Install, OK, Proceed, or Next.